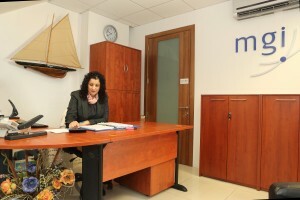 Although the identity of shareholders of companies registered in Malta is available to the public via the Malta Register of Companies, shares may still be held confidentially on behalf of an undisclosed beneficiary by our trust and fiduciary company – MGI Fiduciary Services Limited (Malta) – which is authorised by the Malta Financial Services Authority to provide trust and fiduciary services. Since the offshore concept of “nominee” shareholder was removed from Maltese law, licensed trust companies like MGI Fiduciary Services Limited have been allowed to hold shares in the name of beneficiaries under the Civil Law Institute of Mandate. In Malta these nominee services can be offered only by companies registered and controlled by the Malta Financial Services Authority under section 43(8)(ii) of the Trusts and Trustees Act, Cap 331. This licensing process is aimed to guarantee highest level of professionalism and security to the ultimate beneficial owners. It is also advisable to hold the shares of an offshore company by a trust to achieve higher levels of tax efficiency. This can result in very substantial tax and non-tax related advantages which will accrue both on death and during the lifetime of the “settlor” of the trust, for instance.